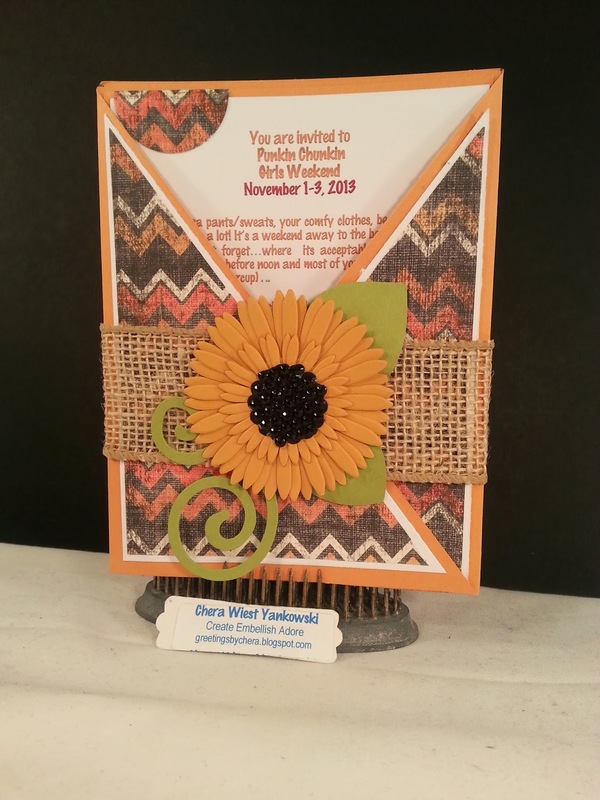 Fun invitations for the annual Girls Weekend at the infamous Punkin Chunkin! Its so much fun its something I look forward to every year! I used the Criss Cross technique, which I have never down this direction. I had made some graduation invites a while back the other direction, so it took some time for me to configure. 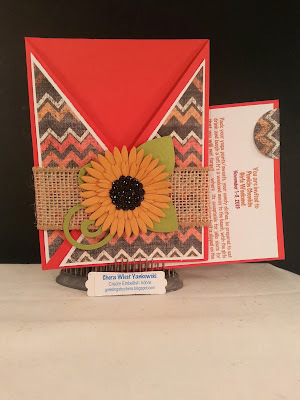 With this chevron paper, I wanted to keep the design straight, but not all were that lucky! 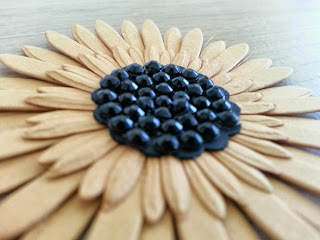 I made a sunflower with black rhinstones in the center... they were tiny! (3mm tiny) and I liked they went with it all. I used some burlap to wrap it all together as a bellyband! 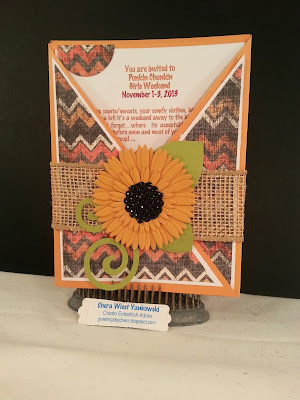 Beautiful Criss Cross Invitation! Love the added blossom! Thanks for playing along with the Bloggers Challenge!